The writer of silent film reviews can look to press releases and reviews appearing in Hollywood trade publications as original source material, but for a more in-depth film review containing details about the story and dialogue, a film script can fill in many of the holes when a copy of the actual film print is not readily available for viewing. In this case, the silent film being reviewed is “Idaho Red” (1929), which is also a lost film. 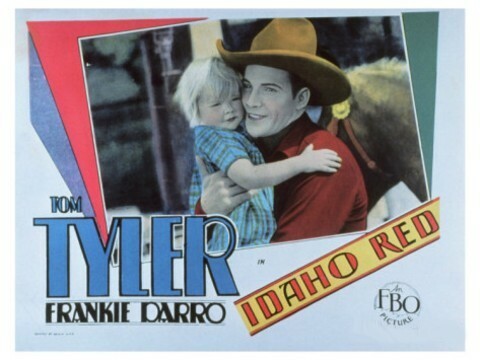 Some information about “Idaho Red” does exist, but again it is in the form of general plot information easily available, such as through Lantern Media History or Newspapers.com. For a more in-depth film review, a university library collection containing film scripts is the best bet in this case. Most university library collections in the United States are searchable online but in the rare case, the institution can be contacted by inquiry for the desired research material. Requesting to use the university library’s research material might also necessitate filling out an online form to use the desired material on campus premises. For “Idaho Red”, the film review writer might run a Google search to locate a copy of the film script for it. A quick online search shows that one is at University of California, Los Angeles library, Special Collections: Performing Arts. Upon doing further research at the school library’s website, it is learned that they also hold copies of film scripts for the majority of Tom Tyler’s FBO movies – which means the UCLA is a valuable source for doing research on this particular actor’s early movies.